DebtWave specializes in consolidating credit card debt, offers a free consultation and charges relatively low monthly fees in comparison with other companies. Low-interest rates: Between the low minimum payments and the good interest rates, customers will be able to save on their debt, whether it be credit card debt or other. Reasonable fees: DebtWave’s monthly fees for counseling service, $10 to $49, are reasonable for the industry. Great reviews: One of the most impressive things about the DebtWave program is the loyalty of their clients in praising the company for its debt consolidation services and debt counseling services. Limited daily availability: TDebtWave non-profit credit counseling has limited customer service hours, this can be an issue for customers. Somewhat limited service area: DebtWave is not licensed to operate in CO, KS, MD, or NY at this time. Some competitors offer debt management services in all 50 states. Our recommendation: DebtWave has a well-established track record for providing top-tier customer service and favorable results. Between their affordable rates for credit and debt counseling, professionalism, and track record, DebtWave is a great option to anyone living in their 46-state service area. If you are looking for other options, we recommend also considering Consolidated Credit. The monthly service fee is tied to the number of credit cards enrolled into the program. Typically it ranges from $10 – $49 (less in some states, it depends on where you live). Payment preferred is automatic debit. Personal checks or cash are not accepted. Once creditors are paid, these fees are typically not refundable. Some very simple plans may potentially be as low as $10 per month. The savings generated typically are much higher than the total amount of fees paid. A minimum enrollment fee is charged depending on the state you live in. The fee will not exceed $75. You can obtain a no-obligation quote by requesting a free consultation. Yes. An estimated pay off time is provided during the initial consultation. They will also provide information on the best path to debt relief and other topics surrounding your specific debt situation. 16 years. DebtWave was founded in June 2001. Financial literacy seminars are offered free of charge in the San Diego area. Other tools include on-line debt calculators, “Smart With Your Money” Workbook, Budget Template Worksheet, Debt to Income Calculator, FICO Estimator – calculators you might wish “why didn’t I think of that?” such as the “Hours of Work Required to Make Minimum Payments” Calculator. DebtWave does offer a money back guarantee for it’s services. If for any reason you are not satisfied with our services within 90 days of enrollment, we will refund back to you your enrollment fee. Unsecured credit card debt only. Their website is not mobile friendly. There is no specific app for their services either, although they do have links and info for obtaining mobile coupon apps for groceries and merchandise. The program is voluntary as stated in their contract and puts no obligation upon clients; they may cancel any time. There is no fee for cancellation. Debt management, debt consolidation, credit counseling, credit report reviews, budget evaluation and more. Must have at least $5k in debt to sign up. An online account is available for those with a DebtWave account. The online account allows customers to see the progress of their DMP in real time. All employees at DebtWave are certified personal finance counselors. We understand that debt and finances are difficult subjects to talk about and deal with. That is why at DebtWave Credit Counseling, Inc. we offer services to help make your life simple. We provide many services, which include: debt consolidation, free credit counseling sessions, student loan consolidation, a financial education program, and we also participate in community outreach. If you join our debt management program, we can consolidate your credit card debt into one monthly payment, lower your interest rates to single digits, and help you become debt-free in 3-5 years. Before joining this program, a certified credit counselor will even take you through a free credit counseling session, where he or she will pull your credit, review all of your accounts, create a detailed budget, and give you a financial analysis report at the end. Similar to a credit counseling session, our certified credit counselors can walk you through a student loan consolidation session, where he or she will consolidate all of your loans, create a budget, and look at the many repayment plans offered by the Department of Education. On our website, we also offer a financial education program, where you can read our financial workbook and take a short test afterwards to educate yourself on the basics of personal finance. We also have a few different credit card debt calculators online to help you understand your current situation a little better. Lastly, we provide free seminars, workshops, programs, and services to all members of the community, including the military, high school and college students, and employees and their organizations. Brittany was really really helpful and nice !! I am so excited to begin getting out of debt !! Thanks Debt Wave !! Jo-Jo was a joy to work with. She was extremely patient with this senior citizen. I never felt rushed to complete anything on the application and she took the time to explain the various parts of the program. Even if I did not understand something fully and asked her to return to any specific item and explain it again, she was always patient and did so without any hesitation. I was not sure I wanted to start this program but Jo-Jo put my mind somewhat at ease convincing me that this was the right step toward relieving my debt. It’s going to be a long 4+ years but I’m grateful to Jo-Jo for helping me get through all of this. My counselor was amazing! Very sweet and easy to talk to. She answered all of my questions in an easy to understand verbiage. She was able to get my payments to the exact amount I was looking for. I am so relieved and happy to be on my way to being debt free. I would recommend your company to anyone! Thank you so much! I found Monica very helpful walking me through the process. I am looking forward to getting out of debt. my review was great Monica was very helpful and very nice. Monica was great. She spent a lot of time walking through each step of my debt consolidation. We looked at a couple of different approaches and options. She was very patient as we found what would be best for me. Having the interest rates lowered significantly is a blessing to be able to reduce and pay off the debt. This was easy and pain free. What would have taken over 20 years on my own, will be paid off in less than 5 years. 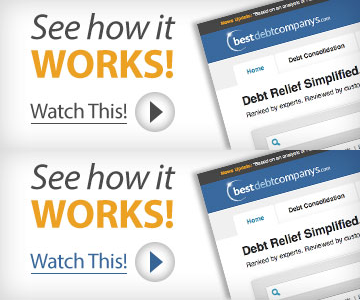 I would recommend this company and this program to anyone trying (and not succeeding) to get out of debt. Brittany was an amazing help for me today. The sense of relief I have is overwhelming. I can’t thank you all enough. From the bottom of my heart and my two boys, Thank You So Much!!! I spoke with Giliane and Mica (not sure if spelling is right) and they were both extremely helpful and friendly. They didn’t make me feel embarrassed about an embarrassing situation. I have just signed up for the consolidation program so can’t comment on how well it works but I am very hopeful and am certainly impressed with the professionalism and quick responses of the employees I’ve spoken with so far. Monica was great! Made it very easy! Monica Ameng has been a wonderful help today! She was very thorough in her explanations of each step and my options. Such a kind lady! I feel much better about moving on toward being debt free. I’m also going to pass along her information to my mom and a couple of friends. Thank you for being available for those of us who are in need of getting back on track financially! Julian was a big help And very personable. Both Sean and Brittany were very helpful. Sean explained things to me in a way that I could understand, more than once. He was also very clear on the direction of my situation if it did not change. Bethany was very nice and also clear about what was going on. They both gave me a positive feeling about my negative finances and made me feel pro- active. I was so depressed having all this debt hanging over my head, then I went online searching for a solution. I came across debt wave the care and compassion that was given to me I felt like I was already debt free. Damion and Mika broke everything down even though my bills were in collections they did not waive the white flag in. I am not fully there but I know I be soon with debt wave by my side. THANK YOU DEBT WAVE. I worked with Giliane Guerrero, she was awesome. Explained everything very well and made the experience very satisfying. She is awesome! I felt like their was no hope for us to get out of Debt, but came across Debt wave and now i can see the light at the end of the tunnel, I feel hopeful again thank you Jo Jo for all your time with us and just how nice and patient everyone seems I would highly recommend to seek out Debt wave for console if you feel like your drowning, their is hope for tomorrow. thank you Tammy..